Public Health and Arizona State University found that chickens and turkeys from factory farms may be ingesting caffeine, Benadryl, arsenic and several antibiotics that have been banned from use in poultry feed for years. The studies were published in the Journal of Environmental Science and Technology and Science of the Total Environment. If anxiety, harsh conditions and long hours can produce tough chicken, I can only imagine what my internal organs look like. Another reason for sticking to organic chicken is that it contains healthier fats, according to Peter Melchett, policy director at the UK’s Organic Center, organic chicken contains higher levels of polyunsaturated fatty acids and more omega-3 fat, which can lower bad cholesterol. Organic chicken was also found to have 65 percent less abdominal fat than conventional chicken, as well as better muscle mass development. 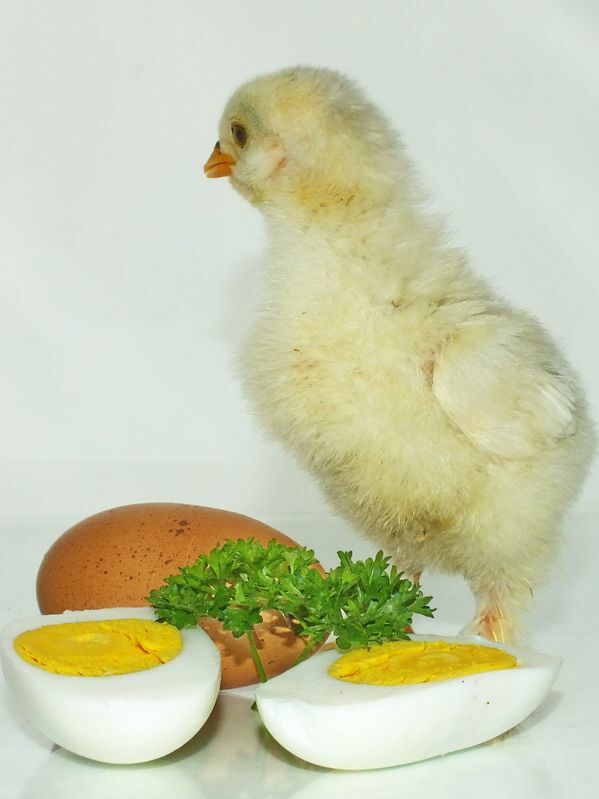 A large amount of what a chicken consumes, is transferred to its eggs. That’s why chickens who eat a diet that has been supplemented with flax seed-typically golden (vs. dark) flax produce “Omega 3 eggs.” These are now available in most supermarkets. Flaxseed is a plant-based omega-3 (alpha linolenic) fat source with many health benefits. Unfortunately, overall, taste tests have not found organic chicken to taste any better or be any juicier than chicken grown by commercial chicken growers. To be labeled “organic” a product must meet certain requirements. In the case of so-called organic chicken, chickens must be fed organic feed grown without commercial fertilizers or pesticides, and not given hormones or antibiotics to be certified organic. Organic chickens will be labeled with the USDA Organic Seal. But chickens labeled all- range, free-range, and hormone-free are not necessarily organic. What is the difference? Chickens fed with organic ingredients produce an “organic” chicken. Organic feed typically contains ingredients such as: organic whole corn, whole organic wheat, dried organic milk, organic fish meal, oyster shell, salt and/or cod liver oil. Flaxseed may also be added as mentioned above. This has nothing to do with how the animals are kept, however. Many believe that chickens raised in tightly packed cages and never allowed to move freely, amounts to an animal cruelty, (and is probably the source of their “anxiety.”) Furthermore, when investigated by sources outside of the world of agriculture such as author Michael Pollan, author of The Omnivore’s Dilemma, chickens that have been labeled as free range or cage free, are often never seen let out of their cages. As always, do your homework…but be grateful that we have choices. Looks like Whole Foods will be getting even more of my money.